Since 2013, Speechless has been selling out shows at comedy clubs and conferences all over the country and the world. Armed only with a laser pointer and a deck of random slides, presenters ranging from stand up comedians to software engineers and Tony Award winners to TED presenters have put their talents to the test in the ultimate improvisational gauntlet--giving a presentation that they've never seen before. Fusing technology with comedy, Speechless is the entertainment experience for the Web 2.0 world. 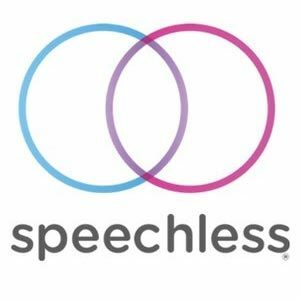 Speechless has entertained and trained companies all over the world including Google, Adobe, Microsoft, Uber, Twitter, Salesforce, Zynga, IDEO, eBay, Paypal, Walmart, The Bill & Melinda Gates Foundation, and many more. Speechless has been showcased at the Hollywood Improv, SF Sketchfest, Joe’s Pub in New York, as well as many other comedy clubs and festivals. Speechless has been featured in Newsweek, The Wall Street Journal, The Huffington Post, the San Francisco Chronicle, Inc.com, and the New York Times. Emails submitted online through Drafthouse Comedy will be shared with Speechless International for promotional reasons only. Please email us if you do not consent to the sharing of your email.